Research in Motion, the Canadian BlackBerry maker, has agreed to settle and pay patent licensing fees to Nokia. The agreement is for one-sided payments from RIM to Nokia and puts an end to all current lawsuits, in the US, UK and Canada. "We are very pleased to have resolved our patent licensing issues with RIM. This agreement demonstrates Nokia’s industry leading patent portfolio and enables us to focus on further licensing opportunities in the mobile communications market," Nokia said. The two companies are not announcing the exact financial details of the patent deal. That is finally some good news for an industry where the focus has moved from innovation to patents in the last couple of years. 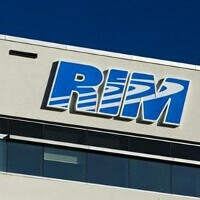 RIM’s decision to settle comes after an arbitration tribunal decided the BlackBerry maker was in violation. Nokia’s extra added pressure that followed ended up in this here licensing agreement. Everyone is paying to Nokia and no one could sue them... Nokia is really the motherland of patents. Yup:http://www.fudzilla.com/home/item/28455-nokia-sits-on-a-patent-mine Basically, Nokia need not sell a single phone and yet earn billions a year with their massive patent portfolio. The other fruit is rotten! every fruit has a different flavour...... u know wat i mean.